Beavercreek is a suburb of Dayton, Ohio, located on the eastern side of the metropolitan area. The city contains over 27 square miles with a current estimated population of 45,000.While the Beavercreek area was 1st settled in the early 1800′s, the city itself was incorporated on January 11, 1980. 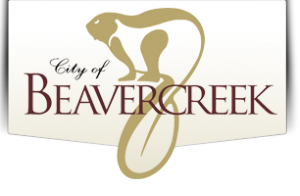 Beavercreek is characterized by a spacious, rolling, wooded environment providing a very attractive setting for the many fine residential neighborhoods. Beavercreek is considered to be among the most attractive, dynamic and desirable locations in the Dayton area with an outstanding quality of life. Consequently, it has also been one of the fastest growing suburbs with housing ranging from exclusive, custom-built homes to charming older neighborhoods. Beavercreek still contains a considerable amount of open, undeveloped property with neighboring unincorporated areas subject to future annexation. The Mall at Fairfield Commons, with its 5 department stores and 130 specialty shops, anchors a growing regional business area, which provides convenient shopping, dining, and services for residents. Other neighborhood shopping areas are conveniently located throughout the community. Beavercreek is also home to numerous research and manufacturing firms engaged in defense technologies, aerospace, automotive components, electronics and other specialized advanced technologies. Many Beavercreek residents are current or former Air Force and civilian employees of nearby Wright-Patterson Air Force Base and its defense industry contractors which serve this huge administrative command, support services, and research facility.